A Moray dad has taken to the ocean waves in his quest to improve the lives of the area’s autistic youngsters. 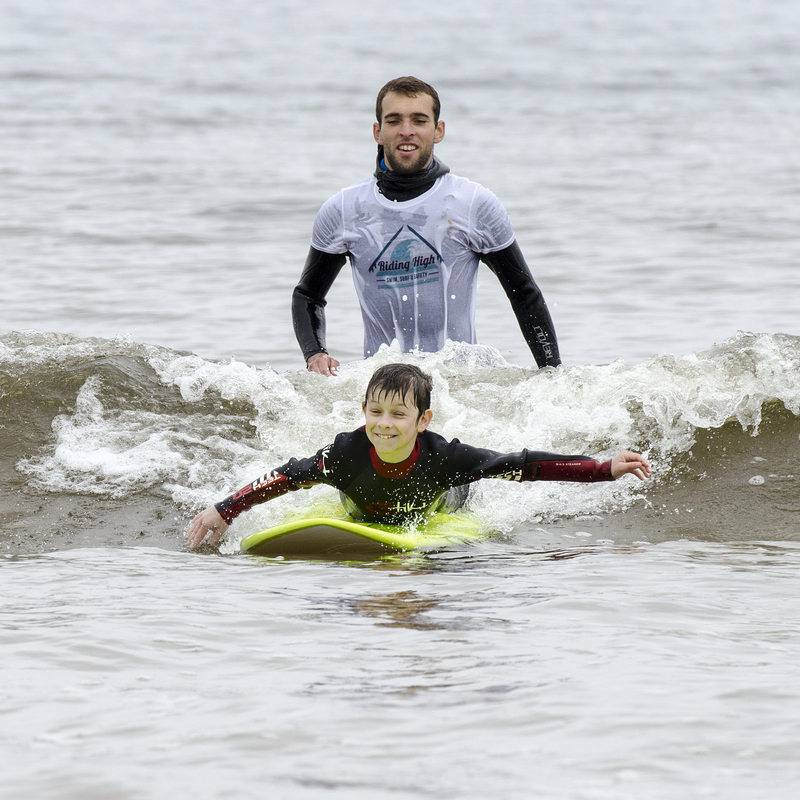 Forres-based campaigner Glyn Morris recently launched surfing lessons for children with the condition, sparking what he hopes will be a national swell of interest in the pastime. Mr Morris, who is a volunteer with the Moray branch of Scotland’s National Autistic Society, has helped oversee two sessions at Lossiemouth’s East Beach so far. He said: “We have had a tremendous uptake, with people from as far as Perth saying they’d like to try a session. “Surfing seems to especially suit people with autism, as they can control what they do and focus just on catching that wave in front of them. Portsoy mum Angela Drummond said her 11-year-old son Grant was the happiest she had seen him “for quite some time” during his lesson. She added: “It was absolutely brilliant. “He was a bit wobbly at first and didn’t want to go in the sea, but the instructor was great with him. The lessons were taken by Kevin Anderson, of the local Riding High Surf School. The classes have so far been enjoyed by youngsters between six and 17 years of age, but they are open to adults as well. Mr Morris began campaigning for the rights of people with autism after his son Gregor, now 16, was ejected from a London theatre in 2011 for being noisy. He said his mission since then had been to “open up the world to people living with autism”. Last week Mr Morris called for a rethink on the national policy on blue badge parking permits after Moray Council refused to allow his son the concession because he does not have mobility problems. He said Gregor’s condition meant he could be at risk from passing traffic, which he might not notice, and is awaiting a response from the public authority to his appeal against the decision.